Storm Damage Telephony | Precision Utilities Group, Inc. 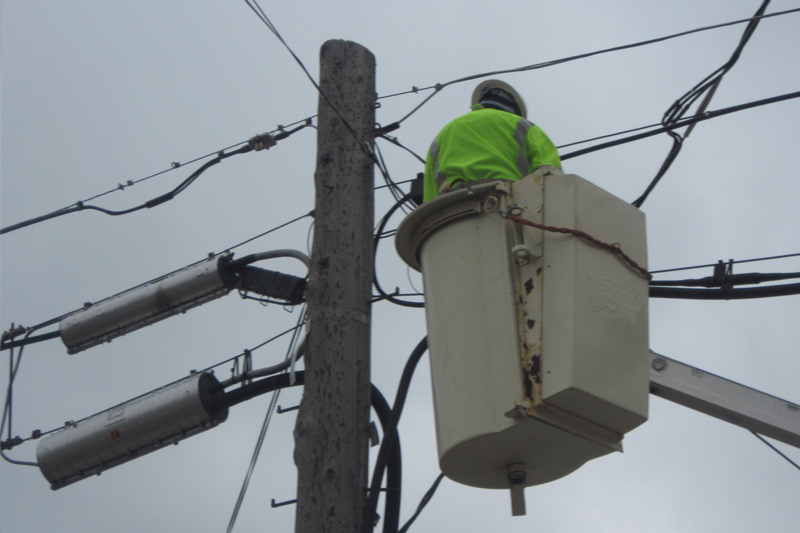 In the after math of severe storms, we know how important it is to restore your telecommunications systems. Lives can depend on the restoration of 911 systems, wireless networks, cell phone systems, and even broadband services. Whether it’s hurricanes, winter storms, forest fires, earthquakes, tornadoes or high winds, when disasters strike and your team is overwhelmed, Precision Utilities Group is here to help. From buried drops to major telecommunications system rebuilds, our team members can usually be on the ground within 24 hours. Our team members will arrive with their own tools and test equipment. A Precision Supervisor will act as the liaison between our customer and our team. This allows our customer to give direction one time to one person. Our supervisor can then give your direction to our team of technicians allowing you to return to other pressing issues.